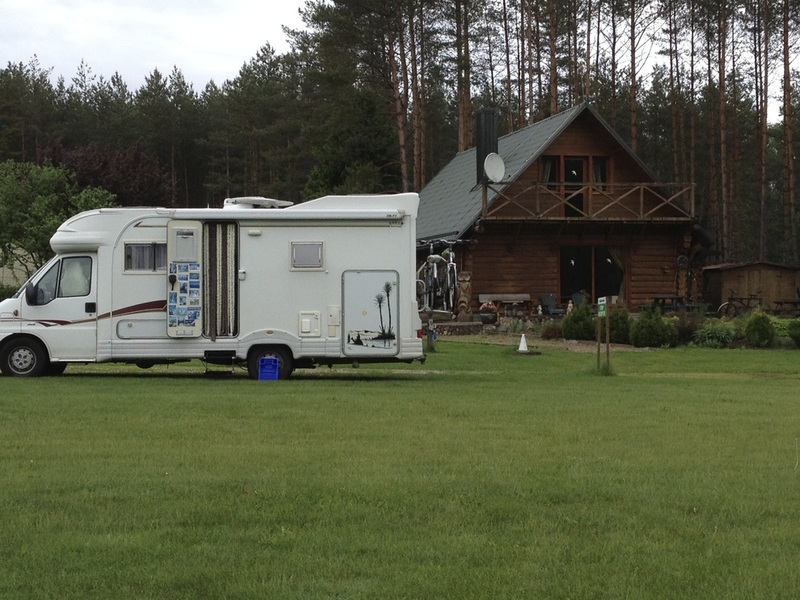 For our quick trip around Vilnius we stayed at Camping Harmonie which was run by a Dutchman, Wim Braun; there is a campsite in Vilnius but it did not open until June. Camping Harmonie is some way out of town in the pine forests and a lovely peaceful site for walking or cycling - you can hire bikes on site. 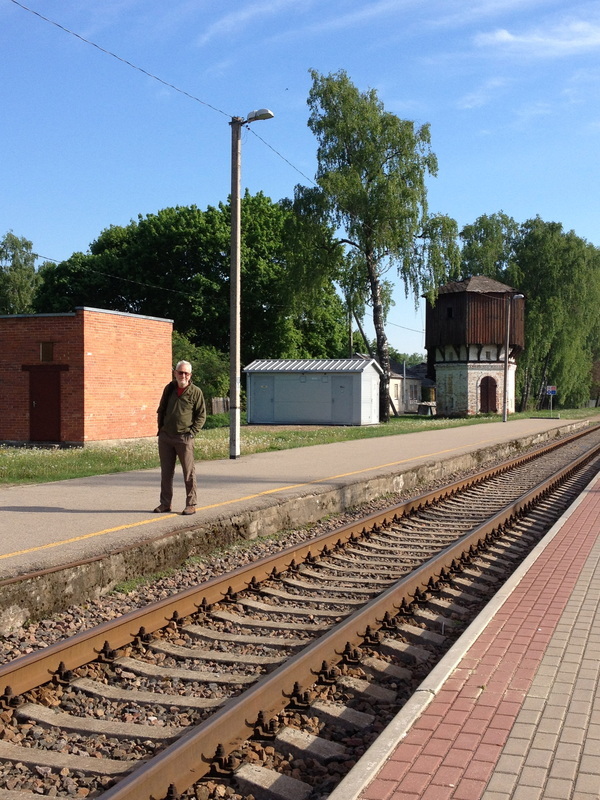 Wim took us to the train station at the nearby village of Rudiskies to get the train to Vilnius – Lt28 return for two us (€7) – which took 50 minutes at a touch better than walking pace. While we waited at the station a lady from a nearby house was using a handle to pull a bucket from a well in her garden. Many of the houses are wooden and some of them are in very poor nick though still apparently occupied. 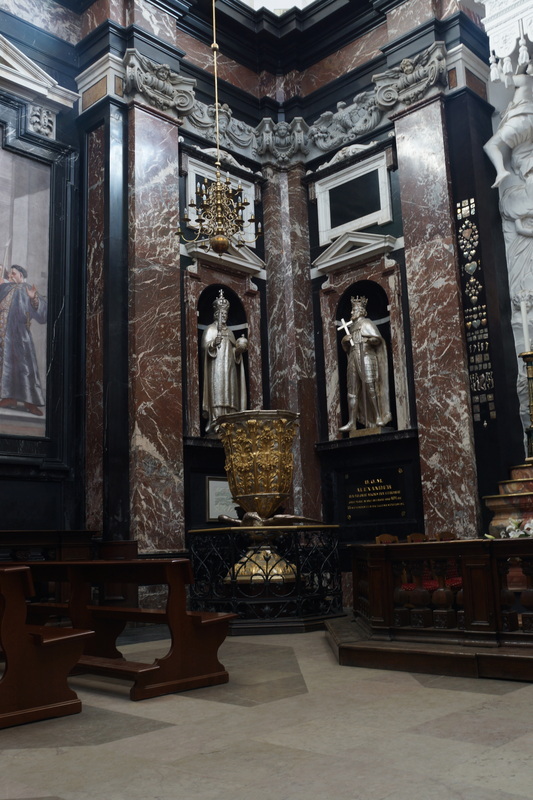 Wim's advce was to take a tram from Vilnius station up to the church of St Peter and St Paul at the far end of town from the statin and then walk back down through the old town - good advice too. chocolate-box churches a 500 year old university and some charming narrow pedestrianised streets making it a very nice place for a short visit. 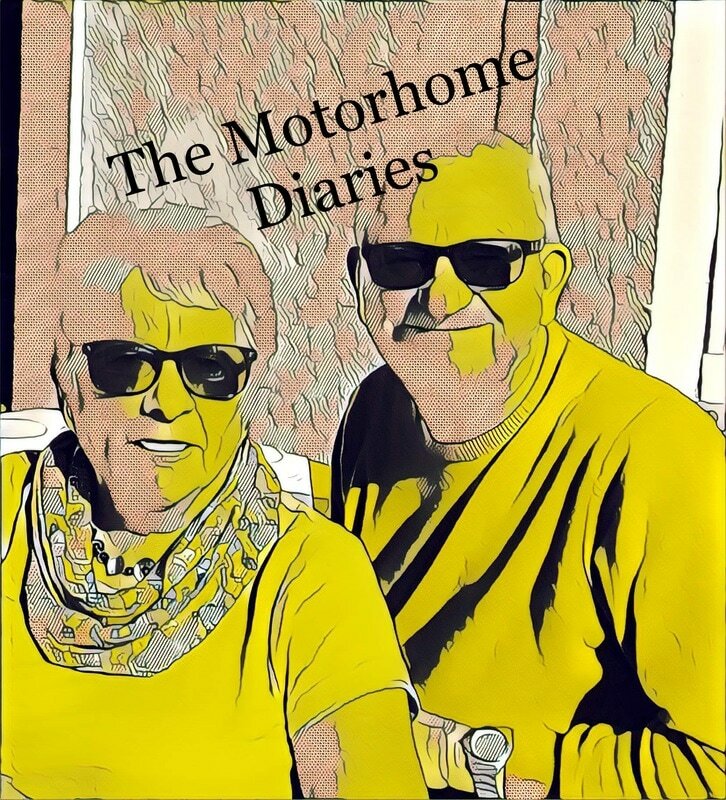 There were plenty of pavement cafes on Pilies Street and we took advantage of them while rain fell for an hour or more at lunchtime by stopping at an Uzbek restaurant, although here in UK we may have called it a Turkish restaurant. Vilnius was the first place we saw plentiful amber products and woollen products - we realised later on in this trip that the prices here were ok.
Before heading back to our campsite we stopped off at MacDonalds near the train station to use their free wifi and download the emails and papers (there was supposed to be wifi at Camping Harmonie but we never managed to log on. This campsite cost us 18 euro a night, not particularly cheap but it does include the lift to and from the station, electricity and showers. 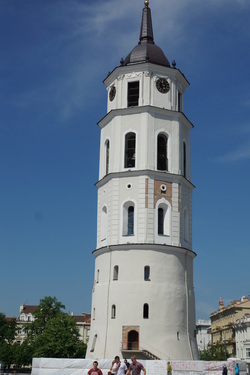 The owner was also very helpful in suggesting a route for our trip around Lithuania, Latvia and Estonia. 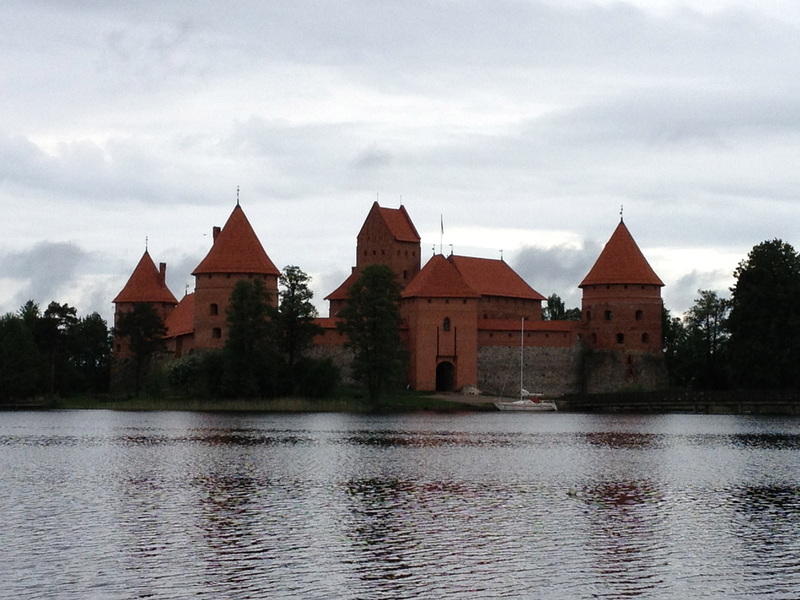 As we left Vilnius and headed for Riga we stopped briefly at Trakai Island Castle. 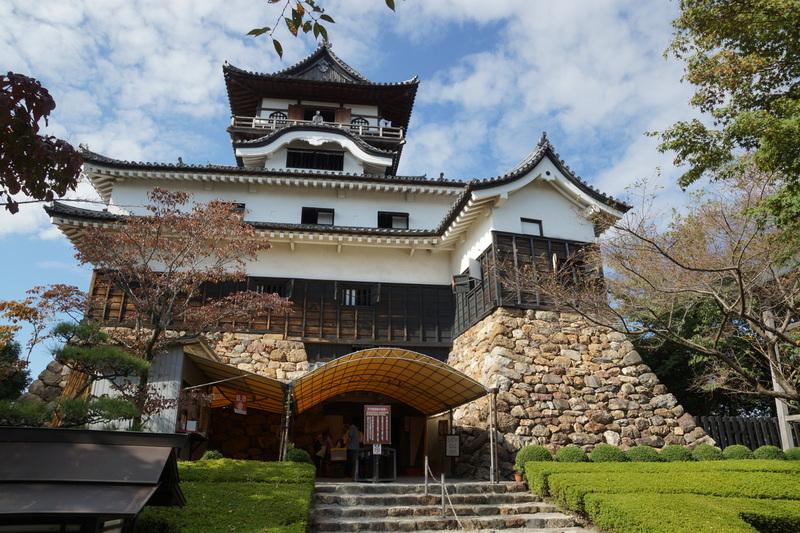 Built in the 15th century it has had a number of renovations since. Beautifully located and often to be found on the front cover of any tourist info about Lithuania. We did not camp there but it is possible to do so. It is also a very popular tourist attraction, coaches and school parties were plentiful when we got there at about 9.30 am. 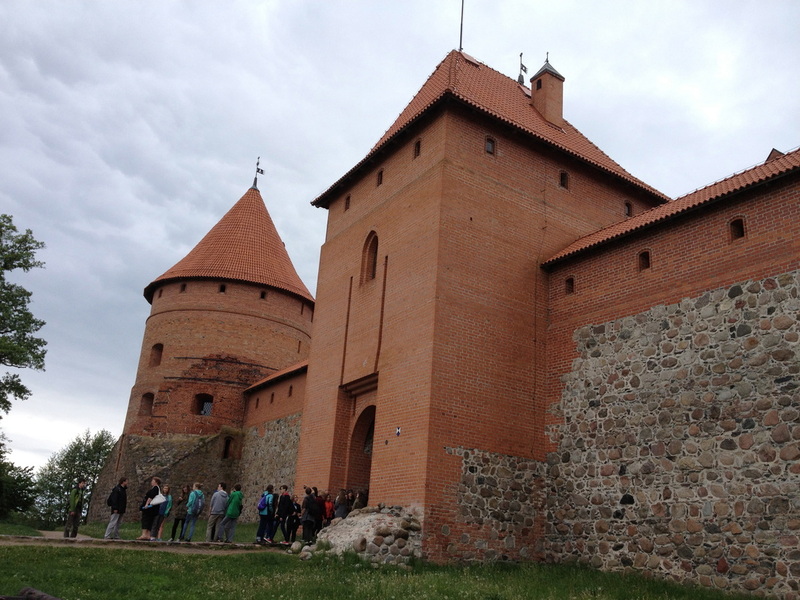 Highly restored building at Trakai, queue forming by 9am. 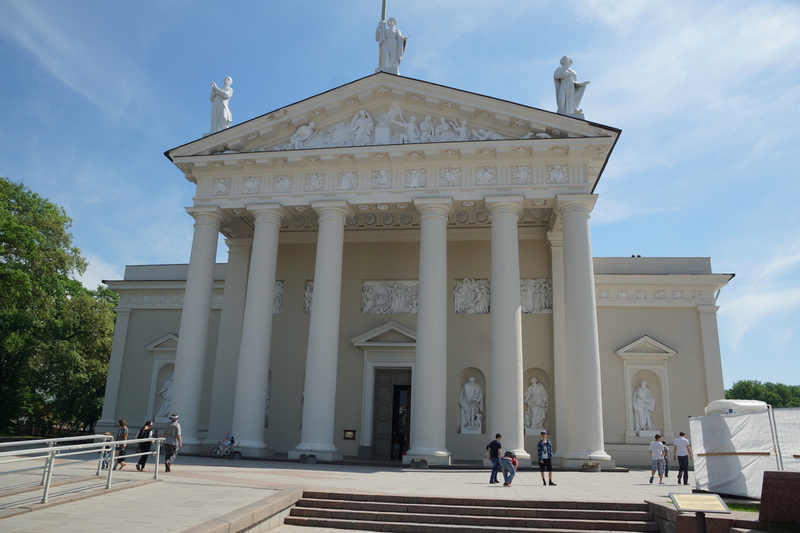 This is the end of the page on Vilnius, you can click on one of the links below to see more of our Lithuania trip.